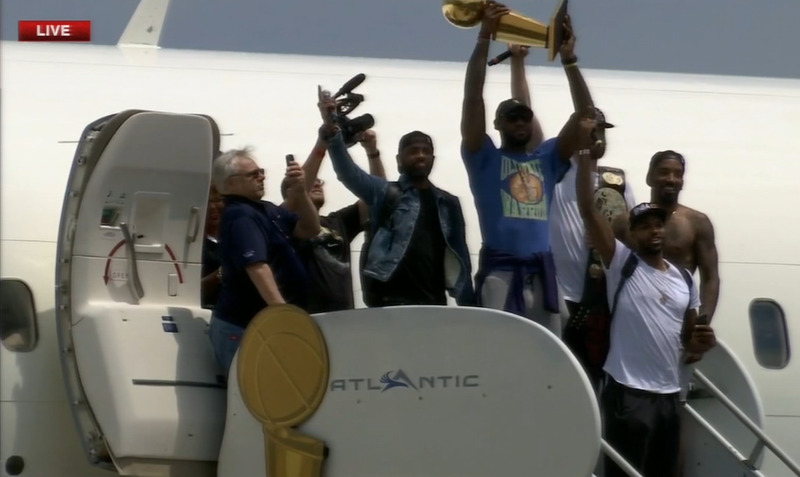 The Cleveland Cavaliers returned home on Monday afternoon to celebrate the city’s first championship in 52 years, and when Finals MVP LeBron James emerged from the team plane, Larry O’Brien trophy in hand, he wore a t-shirt that, less than 24 hours after beating the Golden State Warriors, seemed a little too coincidental. The Ultimate Warrior is the name of a former wrestling star. However, considering the Cavaliers’ opponent in the Finals, there is probably bigger meaning to LeBron. Considering that James has been known for his subliminal messages, curiously passive-aggressive quotes, pointed Tweets, and an overall sense of calculation with regard to how the outside world views him, this sartorial choice feels like a message to the Finals runners-up. That, or he’s just a massive WWE fan.